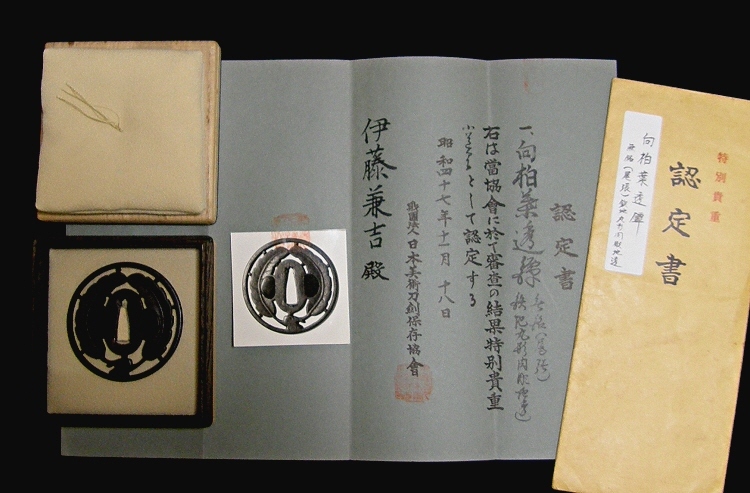 There is a certificate (Kanteisho) issued by Nohon Bijutsu Token Hozon Kyokai (NBTHK) on November 18 of 1972. 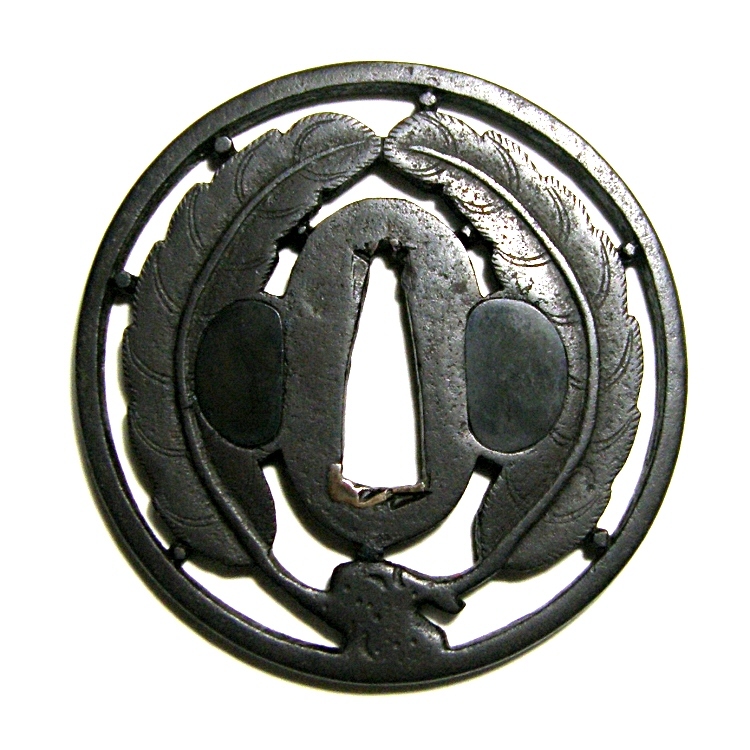 According to the Kanteisho, this tsuba is categorized as "Owari-Zukashi-Tsuba". 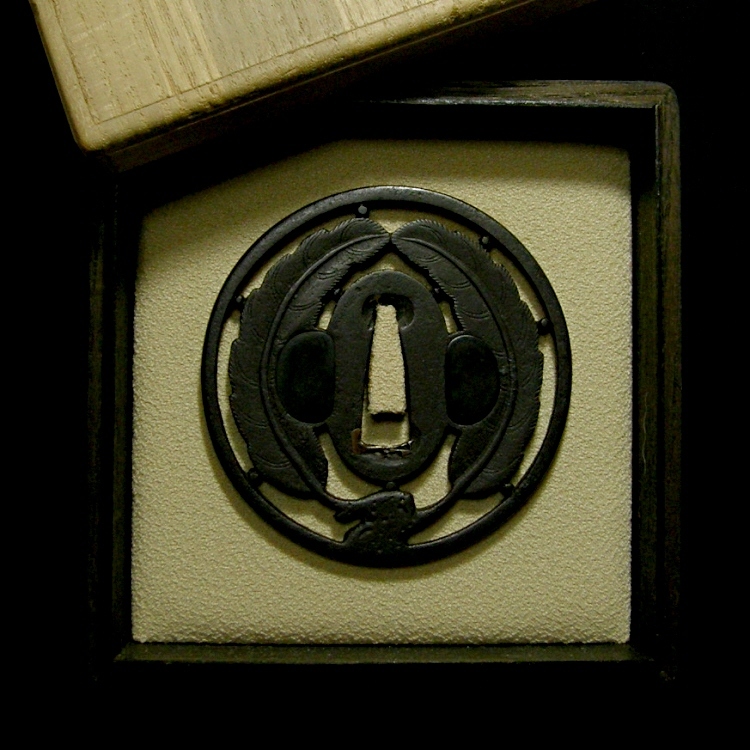 The best two of openworked tsuba are Owari-Zukashi-Tsuba and Kyo-Zukashi-Tsuba. 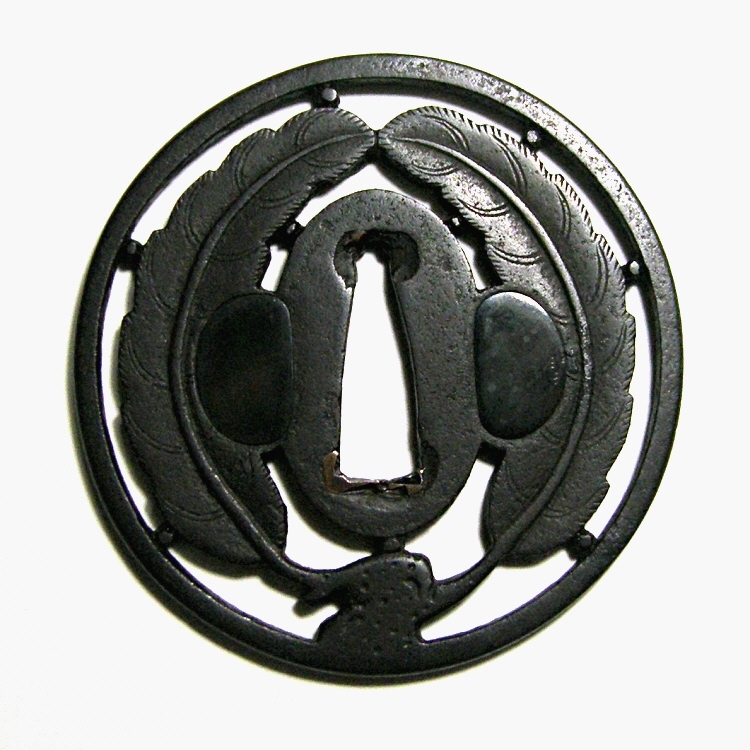 Tsuba lovers covet to have Owari-Tsuba. For this item, it is slightly rusty. 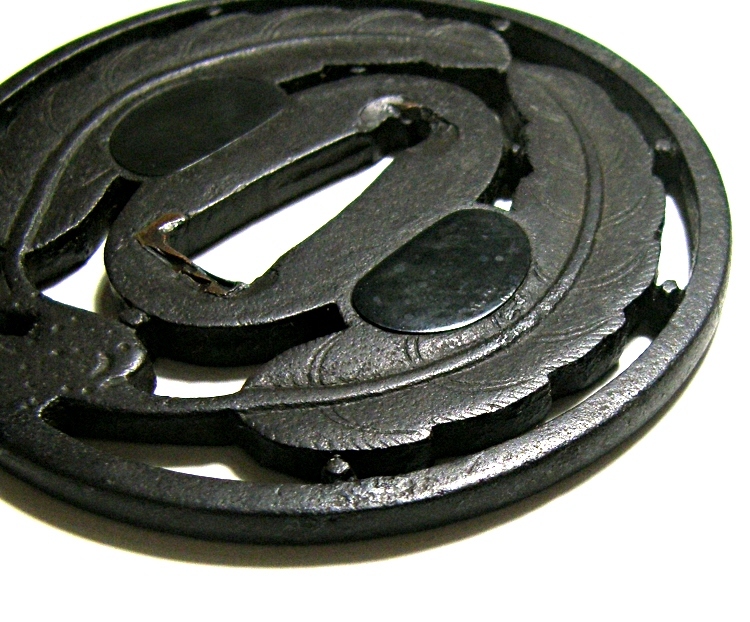 Although, the color of this tsuba is tasteful as it is forged very well. Japanese oak leaves are expressed in openwork (Sukashi) and carving (Nikubori). Both the Kozuka-Bitsu & Kogai-Bitsu Holes are filled in with Shakudo plates. 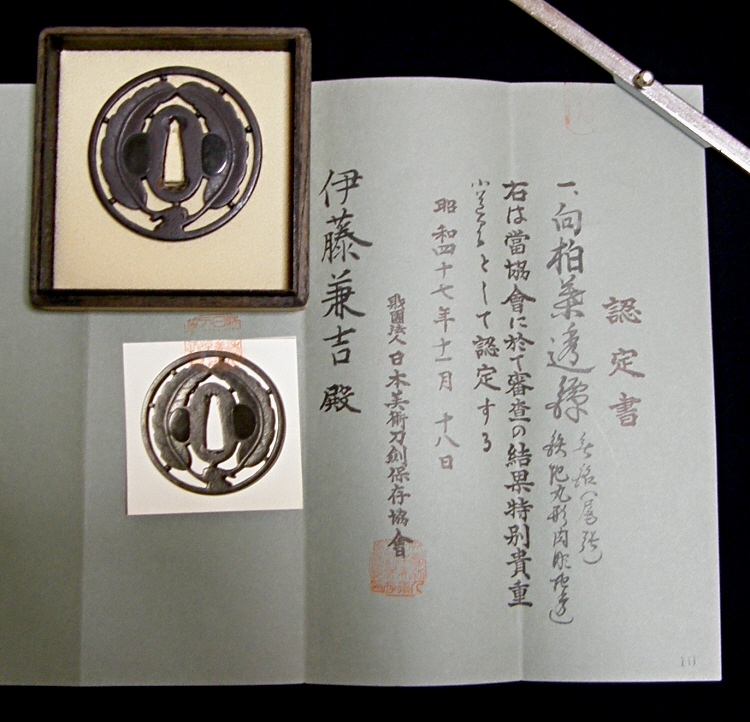 This is precious tsuba in good condition. 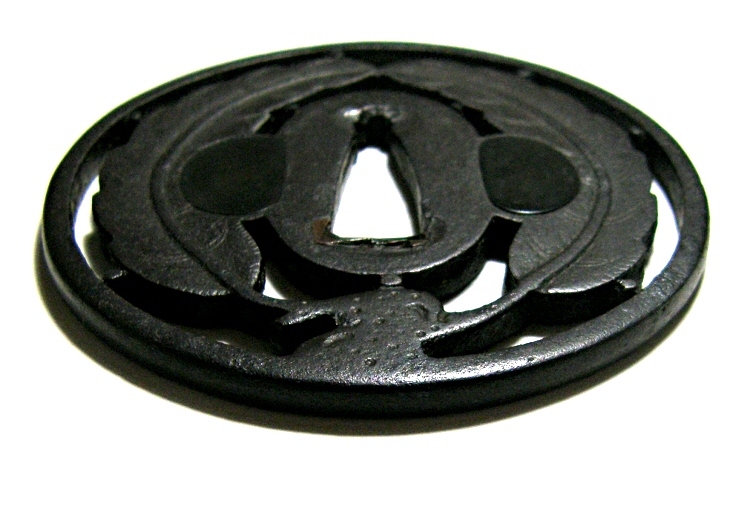 This tsuba is made from well tempered iron plate. Japanese oak (Kashiwa) leaves are expressed in carving. Japanese oak leaves are also expressed in openwork.